Our Academy Awards Party is quickly approaching (less than a week left! ), and it just keeps getting more exiting! Amazing DJ Emily will be there with French music, and we will be having Champagne to go with Becky Winter's delicious raw desserts. I am looking forward to rolling out the Red Carpet to everyone in the heart of Downtown Davis. 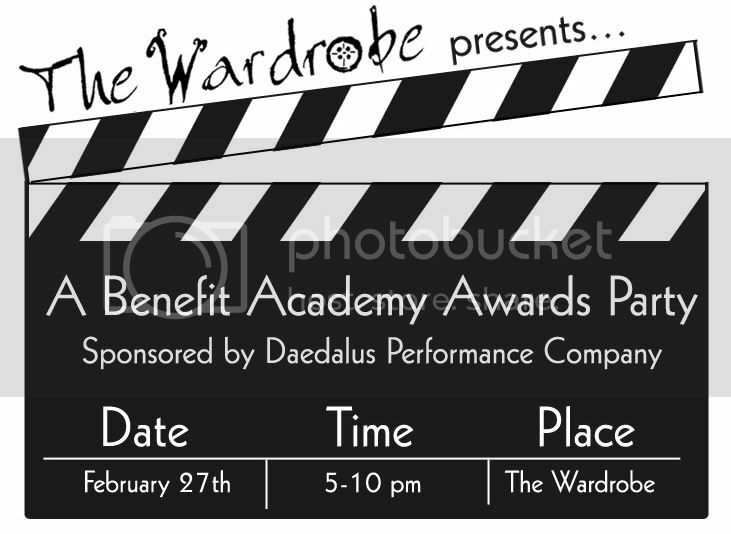 Come down to The Wardrobe on February 27th (Sunday) and watch the Academy Awards in style!